While not with an inspirational title LauncherAdvanced aims to win Android users' hearts and minds with simplicity and an open source nature. It has been released as an XDA-Devs thread beta, for everyone who wants to download and install the latest version. The main features of LauncherAdvanced are two styles of grid, folders to organize apps, space in the dock icons and 5 homescreens. 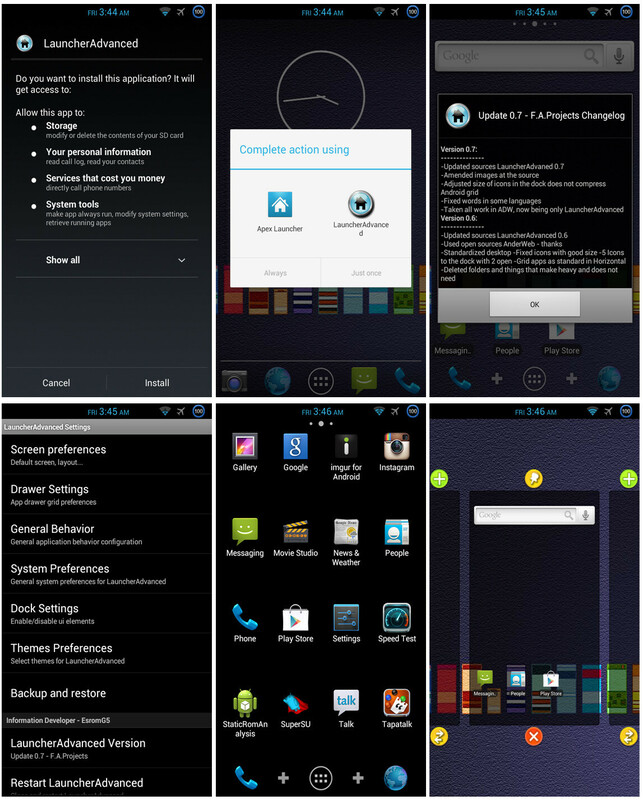 Speed is not an issue with any version of Android, and it supports ADW themes. We took it for a spin, and, while it doesn't contain things which free launcher versions at the Play Store already sport, it is quick, stable, and, most importantly, you can use your favorite ADW themes, as the famed ADW Launcher itself has frankly become a tad bloated and slow. If you want to give it a try, head over to the source link below. Hopefully it will develop to be better than Apex so I can switch over. Nova, Apex, ADW, GO all are good as long as you know how to play around with these. Depends on personal preference. I like TSF so far. Apex is actually pretty amazing, it has decent trade-offs versus Nova now. i used to say the same thing until i tried Apex again recently. the Apex guys are working as hard as the guys at Teslacoil. 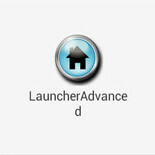 The beauty of android,multiple choices in launchers. If you get bored of a stock launcher you can simply change it to anything you dream off. Doesn't support holo theme, pretty laggy animations when switching screens and zooming out so you can see all the screens, crashes and freezes often. Its still in beta, so these should be ironed out soon though. i know that but those are trash compared to the real thing.